Chalet Pierina is a confortable chalet with sauna and free wifi. 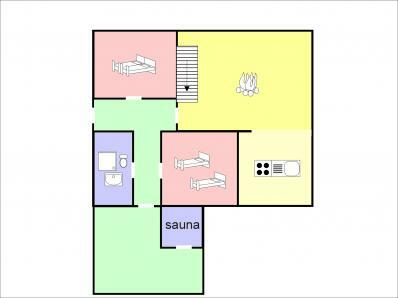 It disposes of a spacious living room with open fireplaceand a sat tv; access to the panoramic terrace with BBQ. 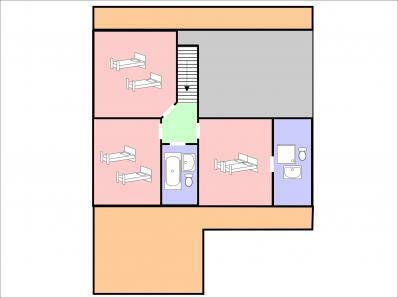 On the ground floor, there are two bedrooms, the sauna area, the living room and the fully equipped open plan kitchen with dining table for 10 people. 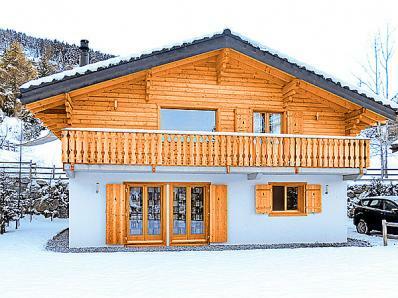 Chalet Pierina offers an excellent comfort and the charme of a swiss mountain chalet. It's located on a panoramic spot, just about 500 m from the resort center of La Tzoumaz. There you find a small supermarket, shops, restaurants, kindergarten and bank. Approx. 850 m to the cable-car with ski link to Verbier, the ski slopes, ski school, indoor swimming pool and ice skating rink. The free ski bus stops is at ~50 m from the chalet; it runs regulary and brings you to the cable car in only a couple of minutes. altitude chalet 1.500 m; top of the ski slopes at 3.330 m on the Mt Fort glacier. ; 410 km of alpine slopes, 95 ski lifts, biggest swiss ski area. Open from mid december to mid april (approximately). 10 km sledge run, accessible via cable car.